Kindred evolves cannabis from "back alley to gallery," changing what it means to be a cannabis user. Kindred has four distinct product lines, based on the effect you desire. 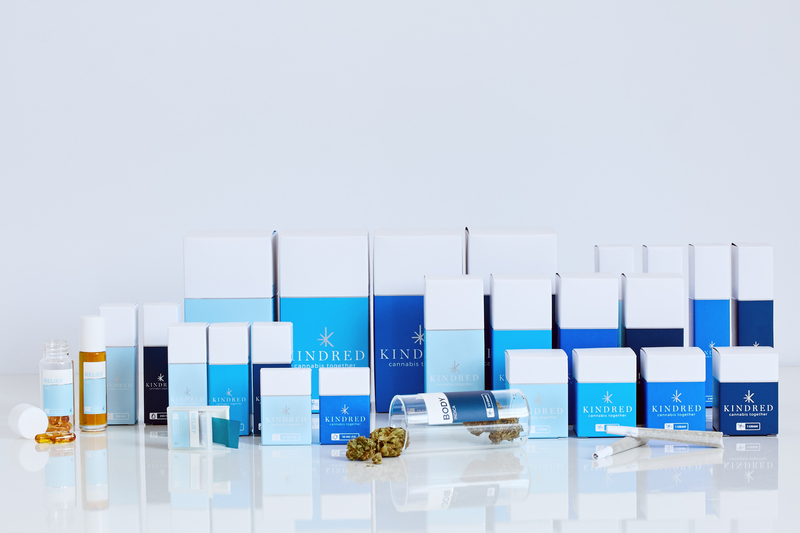 Kindred is attracting a new type of consumer -- the successful professional not afraid to share their enjoyment of cannabis. It wasn’t too long ago that purchasing cannabis was an exercise in uncertainty. It wasn’t just the purchase that provided the uncertainty, but the cannabis itself was even more of a dice roll. People bought what the dealer had on-hand and they never questioned the potency, effects or quality. People were grateful for whatever was available. It was an outlaw activity. But, the world has evolved and with this evolution, the marketplace is also evolving. What is Kindred? 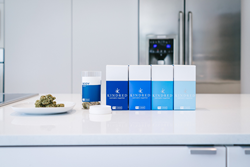 Kindred is a new line of lifestyle cannabis products that erase the social stigmas associated with cannabis and embodies what it means to give back. The first impression of Kindred is the packaging. It’s been light years since the days of plastic baggies. 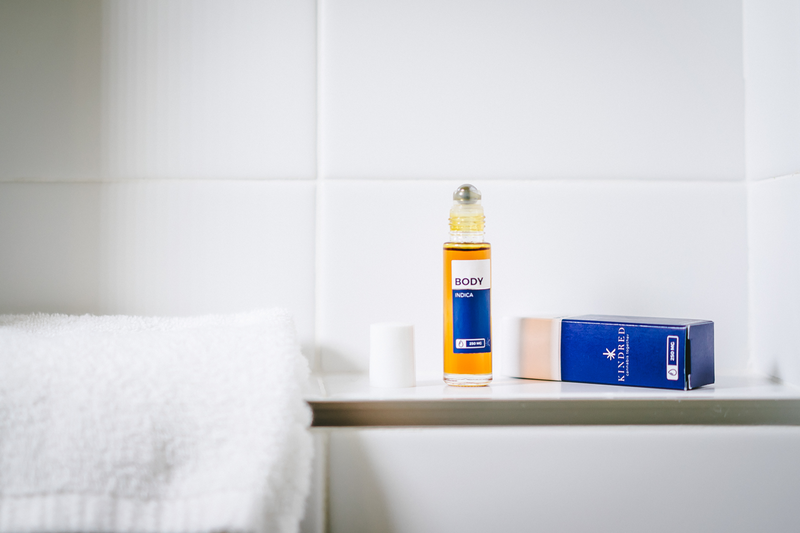 Kindred's packaging evokes luxurious spa and personal care products: four shades of blue indicate effects to expect, ranging from body relaxation to mind inspiration to clear-headed relief. 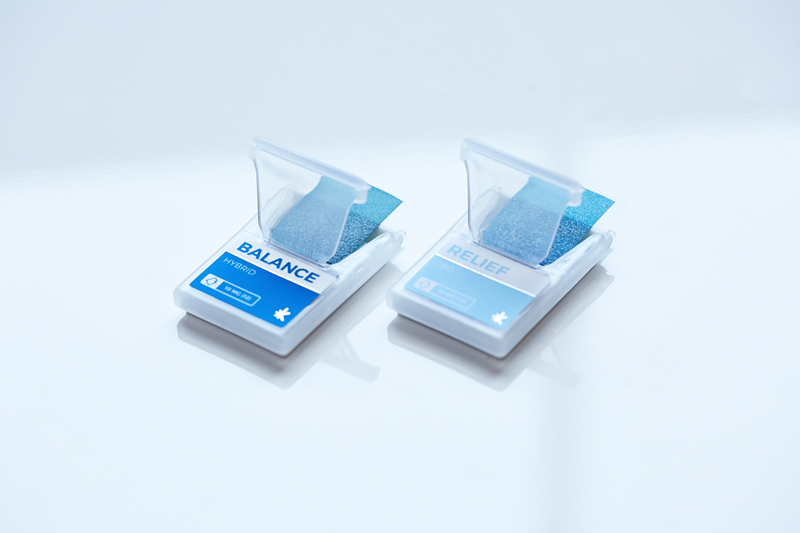 With soft boxes printed with matte blues and silver foil, consumer's are almost afraid to tear it open, but when they do, they're happy to see their cannabis is stored in glass. Yes, glass, which is scientifically proven as the best way to store a product to maintain quality. And quality is an understatement for what’s inside. What’s inside the sleek Kindred packaging is one of five things. 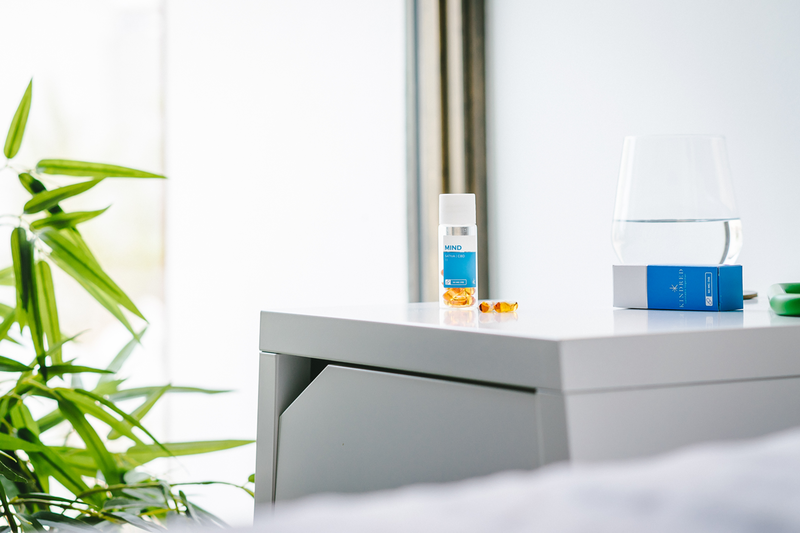 Raw flower, pre-rolled joints, capsules, massage oil or “dissolvable breath strips,” a fast-acting application that dissolves on the tongue and enters the bloodstream sublingually. Yes, cannabis no longer has to be smoked, the people now have choices. Choices mean consumers no longer have to settle for what’s available. They can actively choose what they desire in both effects and application. The cannabis consumer is now in control, and not at the whim of a “dealer” or anyone but themselves. Kindred has not only changed the perception of purchasing cannabis, but also the perception of the purchaser. It is by no accident that the look and feel of the Kindred collection looks as though it belongs in a gallery, as Kindred is attracting a new type of consumer -- the successful professional not afraid to share their enjoyment of cannabis. Similar in fashion to the popular blog “Humans of New York”, Kindred shares stories of these professionals or “Kindred Spirits” on its website and social channels. From small business owners, lawyers, marketers and even local chefs, Kindred Spirits changes what it means to be a cannabis consumer and individuals share how it contributes to their success. In the past, cannabis users have been portrayed as lazy and stupid, but Kindred flips this stigma upside down. Nobody ever truly knew where their dollars used to go when they purchased cannabis in the “back alley”, but it can be speculated. Dangerous cartels benefit greatly from the illegal drug trade, and some of these cartels are known to engage in human trafficking. 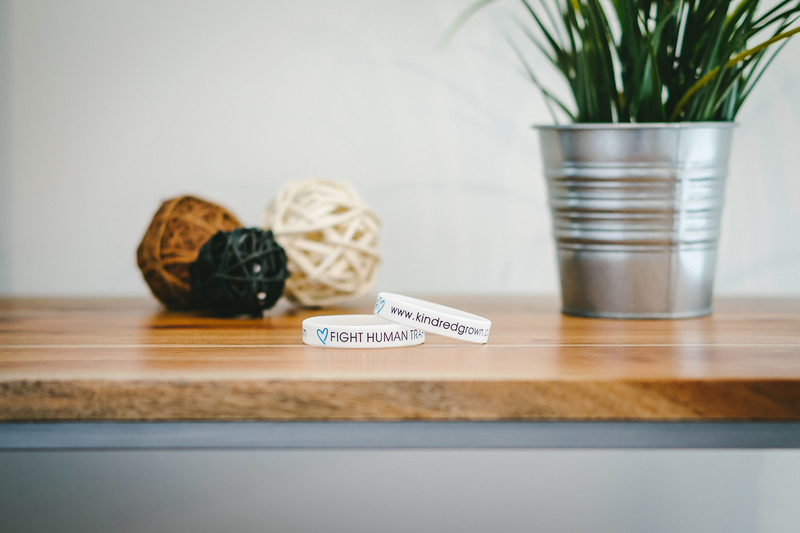 Kindred is committed to contributing to the welfare of its victims. The above phrase is printed everywhere Kindred is available. Perhaps this is the biggest evolution of cannabis yet. Now the purchase power of the cannabis consumer will actively fight human trafficking, rather than indirectly supporting it. The ramifications of this evolution are powerful and are only just the beginning. Kindred plans to not only donate money to worthwhile organizations, but their time as well. Kindred’s cultivation team has already hatched a plan to share their gardening expertise with Streetlight USA, a home that provides refuge for people affected by the horrors of human trafficking. It’s a skill they’re proud to share, and one that can create lifelong benefits for these young people. And who knows? Perhaps they’ll lead the next evolution of cannabis.